We've seen some pretty busy line-ups for the Nintendo Download update in recent times, but it's rather quiet this time around: will it be quality over quantity? Each platform gets one game, and the heady days of discounted downloads are forgotten. Still, let's get to it. VectorRacing (Arc System Works, $6.99) — Right on the heels of SpeedX 3D's budget release in Europe, VectorRacing arrives with more racing action, except of a more conventional F-Zero-esque style. This one boasts retro-style vector graphics — there don't seem to be any textures — promises six different machines, 12 courses and four different play modes. There appears to be wireless multiplayer and online leaderboards, so with options such as Grand Prix and Time Trial this could be promising. We'll let you know whether this is fast enough to keep up with retro classics in our upcoming review. Abyss (EnjoyUp Games, 200 points) — EnjoyUp Games is one of DSiWare's most prolific developers of budget titles, some of which are highly recommended. This latest release tasks you with exploring the depths of the sea, in the year 3024, using a robot with a diminishing light source to find valuable 'Gaia' stones. We'll dive right in and give our verdict soon. Metal Slug X (D4 Enterprise, 900 points) — It's Metal Slug, on Neo Geo, so we imagine that for some of you that's all you need to hear. For those that aren't sure, this is apparently an improved version of Metal Slug 2, which was a rather good game in its own right. With new weapons, enemies, difficulty levels and tweaks to music and level backgrounds, as well as two player support, this could be worth a very serious look. We'll gear up and see whether it lives up to expectations. That's it for this week, just three downloads to pick from. Each has potential, however, so what do you think you'll download this week? Let us know in the comments and poll below. Possibly Metal Slug, but otherwise nothing for me this time. Might get victorracing but too bad theres no vc or dlc (for new super mario bros 2). ESHOP, Y U NO GIVE US DEMOS??! I will get nothing this week. Because I am waiting for New Super Mario Bros 2 Extra downloads. @Raghav I'm not sure that's wise. I don't think NSMB2 DLC will arrive any time soon. Don't forget Reggie spoke about it as a vague thing for the future in the last Nintendo Direct, so I'd guess it's a while away. Plop, splash.... That was the sound of another turd week falling into the Nintendo e-Shop toilet. I already have the Metal Slug Anthology for the Wii, so nothing for me this week. Also, wut? "there doesn't seem to be any actual rendering"? That makes no sense. Vector graphics have to be rendered too, you know. Just like Gemini Saint I too have the Metal Slug Anthology for the Wii so no need for the VC games. I figured it would be a slow week since they released NSMB2 this week. So like most people I will be playing that. Disappointed with this getting nothing good. I think they are just being lazy. Oh well I have other games to play anyways. @GeminiSaint OK OK. Tweaked it, there aren't any textures. There really aren't, it's just lines, which is a legitimate way to 'go retro', I suppose. Unless you count the 'Energy' bar, but that's a pretty minor feature. I could go for Metal Slug X but i already have the Metal Slug Anthology. I recommend a lot MS X because it isn´t so easy like the first Metal Slug and it isn´t so hard like MS 5 or 6. This (X) and MS 3 are the better equilibrated. Man, it hurts to see Japan getting VC titles like Balloon Fight and Ninja Gaiden, and yet how many weeks has it been since we last got a 3DS VC title? @MrWezzle, maybe the next week we could get the Sonic GameGear games because it is the last week of the "8-bit" month. You forgot to mention Theatrhythm: Final Fantasy got more DLC this week. Not a bad selection of games this week. Not sure any appeal to me... but it's still a good set of options. Will probably wait for reviews before deciding anything. Well, NOA has put their hands in my turd infested toilet again and brought out some more garbage to put on the eshop this week. I might get VectorRacing or Abyss. Depends on the reviews. Where is Unchained Blades? ;_____; What's up with that Nintendo? Hmm, VectorRacing looks interesting, at least aesthetically (I like vector graphics). I don't have a 3DS, but I'll still be interested to read a review! Gonna wait for reviews on these. There are at least ten things i still need to download from the eShop. No VC again and no sale. @Bones00 The Theatrhythm: Final Fantasy DLC wasn't mentioned by Nintendo, unfortunately. I'll update the article with these details in a little while. @DarkEdi It hasn't felt like much of an 8-Bit month. I don't even plan on playing those Sonic games, but I'm still just as stumped as anyone as to why we haven't gotten them in the shop yet. None of this week's games sound bad at all. Heck, I may purchase one or the other. But IIRC, we haven't gotten 3DS VC since the last week of July, and we're about to be done with August. A month without VC seems... wrong. Vector Racing looks interesting but I'm not gonna get it straight away so nothing for me. Have the Metal Slug Anthology so definitely nothing for me this week. No demos... but strange, why haven't they loaded up all the past retail games on eshop already? All right, Metal Slug X! I've been waiting for ages for this game. I would get the anthology, but I like Classic Controller support. "VectorRacing arrives with more racing action, except of a more conventional F-Zero-esque style. This one boasts of retro-style vector graphics "
This reads almost like it came out of Google Translate. I hope Shantae releases soon. Poor week on the download, coupled with the loss of Nintendo Power. NoA, and especially Reggie can eff right the hell off. I am getting so sick of this company and how it treats long time fans. @thelastlemming Yes, especially when you selectively quote and chop out the rest of those sentences on either side! Mostly I don't see how a game can "boast of" anything, it's not a sentient thing. I'm not a troll, but this is the internet so you can take my criticisms as you like. @thelastlemming - I was referring to the official description from the developers/Nintendo, from the relevant page on nintendo.com. I think you're grammatically right with that follow up point though, but that's just what came out when I was turning this article around relatively quickly to get the update info on the site. It's also a turn of phrase I've seen used in this way before, even if it's technically flawed. Nothing wrong with feedback, even if I don't agree with the Google Translate comment, of course: always welcome My comment reflects the fact that I believe it's fairer (and polite, actually) to present the full extract rather than a chopped back quotation that gives an inaccurate impression. EDIT: I've changed the sentence to "boasts vector..." rather than "boasts of vector...", doesn't change your valid point, but reads slightly better in any case! Dang. Was hoping for Pulstar. Metal Slug X is a great game but I already own it. Abyss and VectorRacing sounds interesting. Looking forward to the reviews for those. Nothing for me, as usual. Looks like VectorRacing is a port of an iOS game. Still, the game looks cool. Looking forward to the reviews. Man, I wish they would put a Metal Slug (any of them and I'd be happy) on the 3DS. I'd play that thing to death! Always loved playing those games on the arcade. I had a collection for my Xbox, but it died, and I've never taken the time to buy the Anthology for Wii. I'd really like a portable version, though, as it's not the kind of game I'd sit down and play for long periods of time. My bad for not realizing it was Nintendo's shoddy writing, and not your own. Will probably pick up VectorRacing, but since The Last Story just shipped, I'm holding off on anything else. Why not take out a virtual console neogeo in eshop a good time? another crap week... thanks ninty. Do want VectorRacing. When it arrives over here in Europe, that is. I'll admit that we're a little light on content this week, but that doesn't mean it's a bad week. VectorRacing and Abyss are new games that just came out, and could be very good (making this a potentially good week). To those of you complaining about what we got. You DO have concrete proof that both those games are shovelware, don't you? Happy to see that the VC has (sort of) picked up a bit of steam again. Metal Slug X is awesome, but I would like to see some other Neo Geo shooters such as Pulstar. Nice Metal Slug ><! Btw this fi><es the slowdown from the second game. I highly prefer this version. Also has an e><tra boss, because the first boss was moved to a different level. Now we got Metal Slug X and Metal Slug 3. Heck yeah! Vector racing looks very awesome, so it's a good week. Stop complaining, or else you'll make NL as bad as NEOGAF. Though honestly, WHERE ARE THE SONIC GAMES? Metal Slug X sounds good. I may pick it up when I get my Wii back on Monday. Well I guess the weekly sales are gone and still no VC games. Come on, Japan has Mega Man 1, 2 and Ninja Gaiden on the VC. Nothing for me, maybe VectorRacing in the future. Just wondering, why are most of the recent VC titles we've been getting recently are Neo - Geo games? The only non Neo games I can remember are Double Dragon 2, the Wonder Boy arcade and Genesis games and that Sega motorcycle arcade game. Specifically, the fact that it's still hot as Hell and there's no more 8 bit summer. I come to the eShop because it's affordable, quality gaming. It's not fair to its demographic to let some $40 game hog the spotlight. Oooh, look at what you can't have! I know this game! 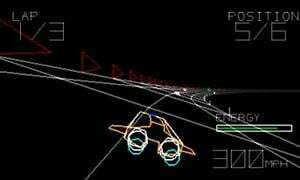 this is from the video game console in the 1980's called, "The Vectrix" I want this game like right now! I'm still pretty interested in Abyss, so I'll be looking forwarding to reading its review. I need more games to play on the bus, haha. Does the Metal Slug Anthology Collection have perfect emulations of 1-6? I've already beaten 2, but i hear 'X' reduces a lot of that annoying slowdown that plagued 2 in the first place. 3 looks to be the best yet, but i have no real desire to play the rest...Or any more Metal sluggin' for that matter. And i think i could adjust to the Wii remote on it's side NES style while shaking the wii remote to toss grenades. that could actually work great! Wow, so I can pay $7 for a 99cent iOS port to the 3DS. No, just no! I don't want a game to fail ever, but I wouldn't feel bad either if it didn't get bought much. I didn't realize Vector Racing was a port of an iOS game, but that does cast its price point into a negative light. I can see a lot of ways it could be better on 3DS though, so maybe it will be worth a purchase anyways. Either way, now that I know it has a free lite version on the Appstore at least I can get a feel for what it's like before I make the decision of whether or not it's worth my money. @Jukilum Well, this actually adds A LOT to the original. With online leaderboards and local and download play, this is probably worth the $7. I'm downloading it right now actually. Getting VectorRacing since the F-ZERO fan in me sees its a good game. @WaveBoy Nope. It doesn't have classic controller support and it has bugs and I think even slowdown but I think that may have been in the original, too. ^Hey, man, Princess Tomato was a great game. 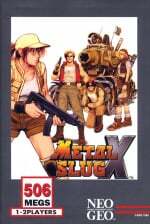 If I could get only one Metal Slug game, should it be X or 3? I'm just gonna quit commenting on these download weeks unless they're good. See you guys in December. Vector Racing 3D looks really interesting. I'm bettin' them wire-frame graphics will look really nice on my gargantuan 3DS XL! I don't know that's pretty tough... I would go with 3. It has ostrich! yeah! This game looks amazing!!!!!!!!!!!!! but I don't need the 3DS XL, I all ready have the 3DS. and this game was originaly for the Vectix Game console! I'll buy this! @Firejonie +1 ...How I wish those games in the eshop U.S., I think we also sell my 3ds U.S. and I buy a Japanese. Have you even played Princess Tomato? Downloaded the Abyss on my new 3DS XL tonight and its ok for $2, the graphics can get a little blotchy and pixelated, not sure if that's supposed to be part of the game's look and feel or if it's just a cheaply produced title, but I like the concept. I really want more virtual console games, but it appears as if we may not get any for quite some time, which makes me sad. Here's hoping we get Demon Training here in the U.S. at some point for e-shop download! I'm disappointed by the price of Vector Racing. Paying $40 for a Mario game in either retail or download doesn't bother me. Paying $7 for a $1 iOS game does. $3-$5 would of been better. @ecco619, from what I've heard on the forums, this game adds a lot new content/features not present in the iOS release. We now have Metal Slug X. Now I am very happy. Metal Slug 1, 2, X, and 3 will now all be on my Wii. So yeah, I'm VERY happy Metal Slug 1, 2, X and 3 are all on the Wii VC ^^ Perfect emulation of the Neo geo AES versions WITH D-pad support! In the VC versions, you can use the wiimote sideways with NO shaking , or the Classic Controller / Gamecube controller, or in my case PS1 controller and Super Nintendo controller thanks to my PS to Gamecube and SNES to Gamecube controller converters . I am LOVING all this Retro VC Neo Geo love!